What material can contribute to green and healthy buildings in 128 different ways? 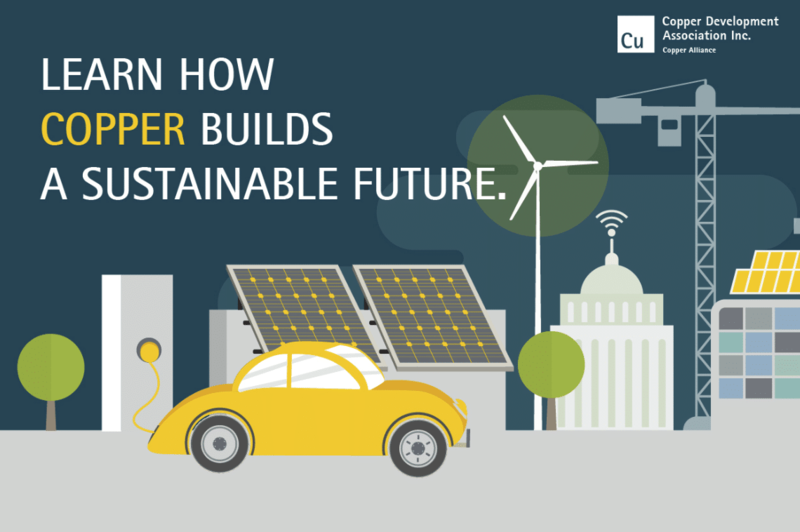 Creating a smart, sustainable world starts with buildings. An impressive and dynamic array of designs, technologies and products are available to support smarter green and healthy buildings. 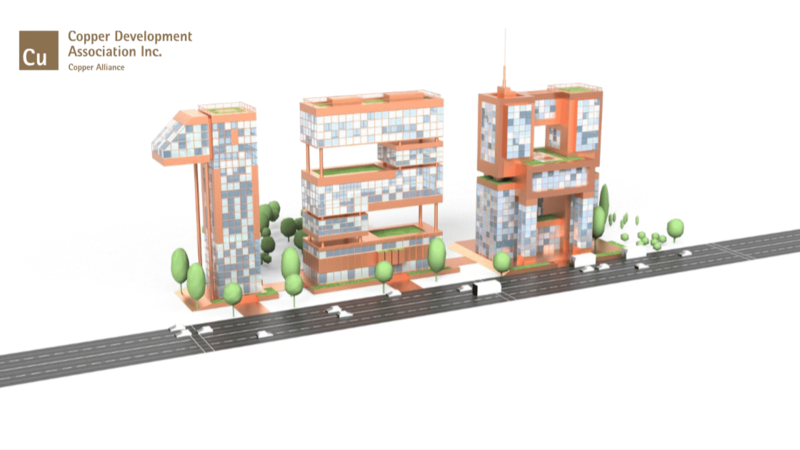 By using copper, the sustainable building community will create structures with features that not only preserve the integrity of the environment but also promote occupant health and wellbeing. From improving air quality to saving water, occupants and owners will benefit from a green and healthy building constructed with copper. With an infinite lifecycle, antimicrobial properties, high electrical conductivity and a dynamic range of uses, copper’s 128 uses in commercial building construction help to achieve one-third of the 420+ credits, features and provisions recognized within LEED version 4, WELL version 1 and ASHRAE 189.1. The Copper Alliance® released a guide on the essential role copper plays in buildings. This covers everything from electric vehicle charging to solar glare control—with plenty of applications in between.